First you have to remove the blade which is held on by a rubber grommet. Then remove the three screws holding the guard assembly to the motor. Now at the 3 and 9 O'clock positions there are screws inside holding the motor cover on. 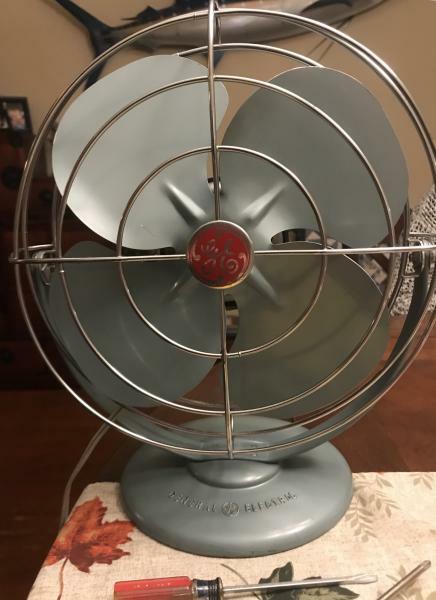 Peter, what you have is whats referred to as a GE Quiet Fan (Not to be confused with the Quiet Blade fan that was made from 1932-1946) and they were made from 1950 until 1963 and they more or less replaced the Quiet Blade Fan. They are great runners when working properly but when they aren't they are a pain in the pitootie to get apart especially the blade assembly because they are held on by a rubber grommet that starts to dry rot over the years which results in it more or less fall apart when you pull the blade assembly off the motor shaft, which once that happens you're pretty much screwed as there isn't any replacement grommets for those fans currently being reproduced. 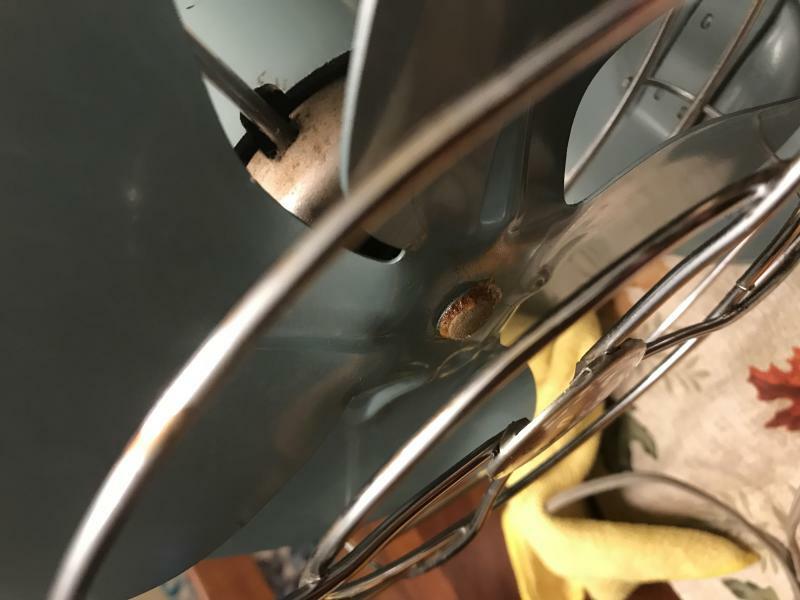 These fans came in a 8", 10" and a 12" model, the 8" and 10" version were single speed models and the 12" was a 2 speed model and they came in oscillator and non oscillator models, of which your fan fits in the non-oscillator category and is called a "trunion" model. I’ll have to check with my friend and see if she wants to risk blade not going back on. 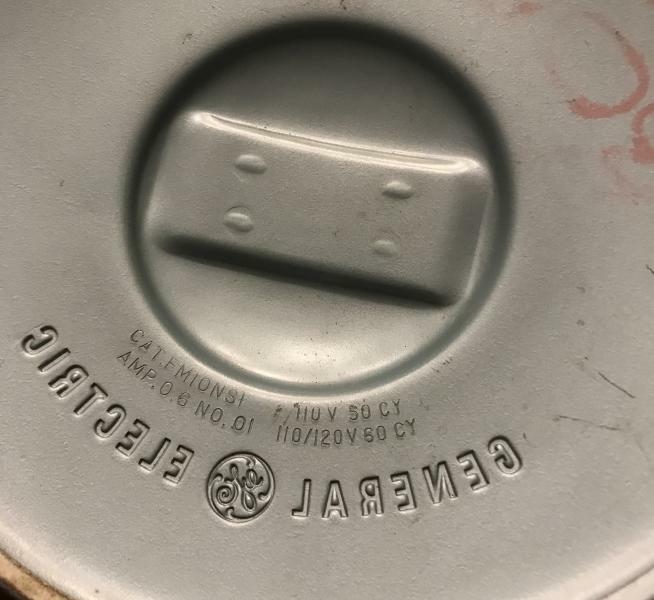 Does anyone have pic of original plastic piece on hub? Page processed in 0.1416 seconds (11% database + 89% PHP). 27 queries executed.